Taking a few days off over the holidays while I was on vacation was such a gift for me. Lately I feel like life is just zooming by – my kids are getting older and our schedule is crazier. Every day I just race through the motions of doing laundry, making lunches, blogging, running errands, hitting the gym, you name it. I don’t have much time to PLAN anything anymore and I feel like I’m spinning out of control often. Those lulls in time that I used to have are non-existent. Recently I even thought wistfully of the commute I used to have when I worked before kids. It was a BORING 30-40 minute drive! How can anyone wish for that?! It boils down to the fact that that was time I could take to think about life, think about goal-setting and what I wanted to do. I just don’t have that anymore. That’s why having a couple of days off over the holidays was awesome in the sense that it gave me some time to think about things. One of my overall thoughts and themes while away was this thought: we live so happily with so much LESS when we’re out of town, why do we need so much darn crap in our house? What I’m saying is that we had a minivan carload full of our stuff and other than our cats at home, there wasn’t much at home I missed. I talked about this with hubby on the drive home. We have too much. Toys. Crafts. Gadgets. Papers on the counter. Whatever. The bottom line is that the act of having too much to manage causes me ginourmous amounts of stress. I was planning on a big purge when I got home which I’ve been doing the last week or so. I currently have 10 FULL bags stuffed with items to leave my house. It’s a beautiful feeling. Meanwhile, I saw this post from my friend Amy over at TeachMama.com to live focused in 2015 where she just resonates so much of what I’ve been thinking about life zipping by and having more goals and being focused. She’s doing a 12-month series this year and has picked a different theme for each month. Since I was already in for her January goal (organization) I thought I’d jump on in! Join me and join us! I may join her on some of her other months too because I love this idea of focusing on something positive and having a monthly goal. Her hashtag is #livefocused – get organized this month, share photos and use the hashtag – it inspires me to see others doing the same! So that’s where I’m at. 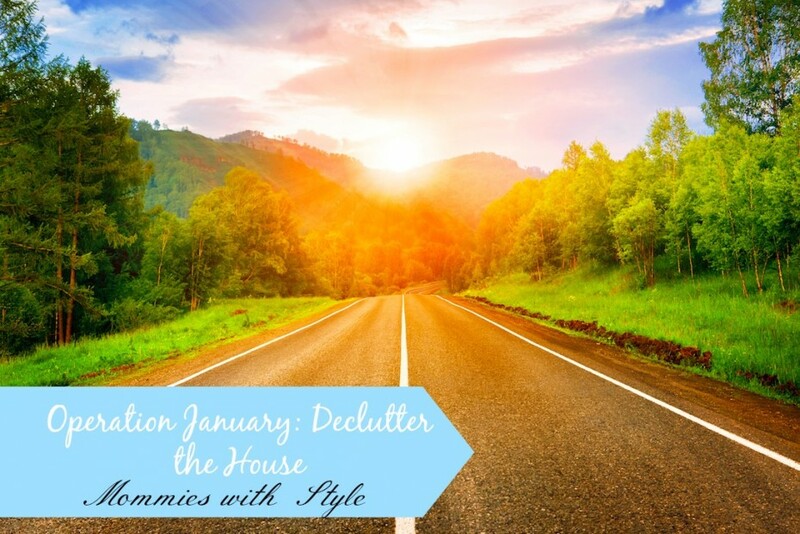 January will be about decluttering and organizing my house and I’ll share photos as I journey! There are only a couple of weeks left in January but I already feel so great about what I did last weekend. Love your article on purging- I have always been an advocate of the ‘less is more’ philosophy and yes, I try to keep a zen minimalist home. . however, there is a however, as years go by, i find it less motivating (perhaps age related) to do the purge. It takes all my effort (or much of it) to just keep up with the day to day ‘discard” and duties. I always set lofty goals to clean out the garage , closets, etc , however, I do discover that, at the end of each day, after doing all the ‘normal’ required stuff, I just want to do something called , ‘relax’?? think that’s the word. Sit down, get a glass of pinot grigio, perhaps watch an episode of Blue Bloods , yada. With that said, I still set goals, hoping one of these days, that burst of energy will come and my inner organized self will say to me: “hey, go now and throw out that box of stuff you’ve had for years”. . . . and I may just get to do that and then, I’ll get that ahhh feeling. . . .ahhhh. Love that you are getting you ‘house’ in order, literally and figuratively. I work for an online consignment store and we specialize in selling the clothing, shoes, and accessories that didn’t quite make the cut in your purge. We’d love to come out to you and help you get started turning those cast offs into cash.